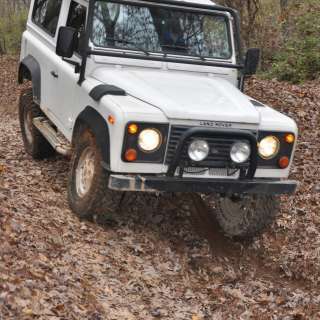 Whether this is your first time off-road or you have advanced experience, experiences expose you to elements and terrain to increase your off-road knowledge and ability. Experiences cover the basics of expedition-style driving and are customized to fit your skill and comfort level. Off-road obstacles such as steep ascents, descents, side tilts, log crossings, and rock crawls offer an exciting and memorable off-road adventure. Up to three participants may ride in each vehicle. *Prices are in addition to estate admission and subject to change. Plus applicable tax. Please note: No car seats, no passengers under 8 years old, no use of the third rows of seats. In order to drive, you must have a valid driver's license and be 21 years of age or older.